In a World Championship that continues to defy expectations, Fnatic of the EU LCS take on the LPL’s Invictus Gaming in the Grand Finals this weekend. There’s a first prize of more than $800,000 on the line in South Korea. It is very much East v West and it will be fascinating to see if Fnatic can break through. 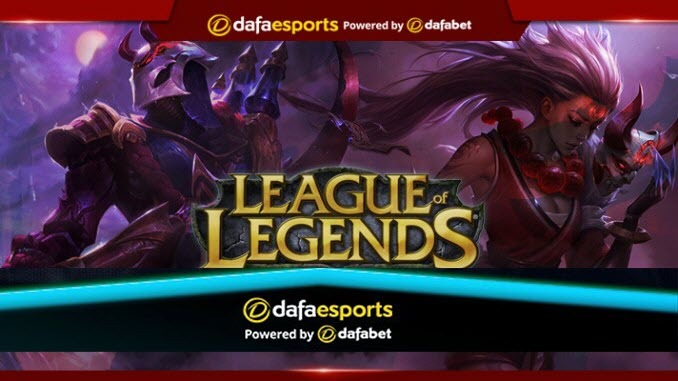 Dafabet don’t expect that to happen – they have Fnatic as the underdogs at 2.370. Opponents Invictus Gaming are favourites at 1.598. Fnatic have lost a grand total of two games thus far at Worlds, one to IG during the Group Stage and one to Edward Gaming in the quarter-finals. Despite their dominance, there still remains hesitancy around Fnatic, given the West’s previous struggles in the latter stages of the Worlds in years gone by. However, their convincing 3-0 win over Cloud9 in the semi-finals further displayed just how much this team has improved throughout the tournament. The World Championship has developed into a meta based around securing Top-lane counter pick, with the likes of Viktor and Jayce suddenly rising to prominence late in the play-offs. Given Bwipo’s willingness to play these Mage-style carry champions, Fnatic all of a sudden have ended up gaining an unexpected edge late in the tournament, all the while still having sOAZ on the bench, ready for any change to be made. Mid-laner Caps has been stellar, with the team continuing to prioritise his champion in an attempt to gain every advantage possible for the young phenom. Indexing in his lane with multiple three-man ganks from the Bottom lane and Jungle, Caps has rewarded Fnatic’s effort with stunning performance after stunning performance. Broxah has received praise as one of the best Junglers at the tournament for both his deep champion pool and ability to be in the right place at the right time. With such precision on Lee Sin that he routinely draws bans for, Broxah looks to facilitate Caps while also protecting his vulnerable side lanes, given all the pressure put into the Mid lane. Despite being a star player, Rekkles has flown under the radar a bit during this tournament given the spotlight on the upper side of the map. However, Rekkles has shown a keen ability to stay safe when Hylissang roams Mid, all the while performing well in terms of both laning and team fighting and providing a secondary carry should Caps falter. Invictus Gaming have come out of the side of the bracket considered by many to be the most difficult, albeit with two opening-round upsets seeing kt Rolster and Royal Never Give Up knocked out. IG defeated kt 3-2 having been a split second away from pulling off a 3-0 before narrowly losing a base race. However, their poise to collect themselves for Game 5 showed class, with the team looking more and more like their Spring-split selves as the tournament has worn on. Looking to be more aggressive and take fights, IG have utilised the mechanical prowess of their solo laners to huge success, including a 3-0 sweep of G2 Esports in the semi-finals. Top-laner TheShy has lived up to his billing and more this World Championship, asserting himself as one of the best players in the tournament. TheShy has excelled on the same type of carry champions that Bwipo has, with each also able to man tanks should the composition call for it. Mid-laner Rookie is one of the best players in the world, setting up an exhilarating match-up with Caps that we had glimpses of during the Group Stage. However, for IG one of their keys to victory has been the play of Jungler Ning, who has improved throughout his tournament after having a shaky opening that included questions about his champion pool. Despite Ning’s success as of late, all eyes are on Bottom-laner JackeyLove, a player who has notoriously struggled with the pressure on. While JackeyLove has performed incredibly well thus far, there is still always the concern that the lights may be too bright for him.